many many many people suffer from monday blues, and sadly i am one of them. i've come up with this idea for myself (and all of you) as a way to look back over the past week and reflect in what was good and what was happy. every monday i will be writing a list of all the wonderful things i have come across, the things that have made me happy, and hopefully you will be able to look at it and your monday will be that little bit more cheerful as well. let's start the first cheer me up monday off shall we? 1. i made these delicious little treats! 2. a wonderful person linked me this video of a cat that thinks it is a sausage. 3. we had a easter egg hunt at work! eggs were in the most obvious places and i completely missed them and felt like a dummy but it was a fun and yummy day! one of the best. 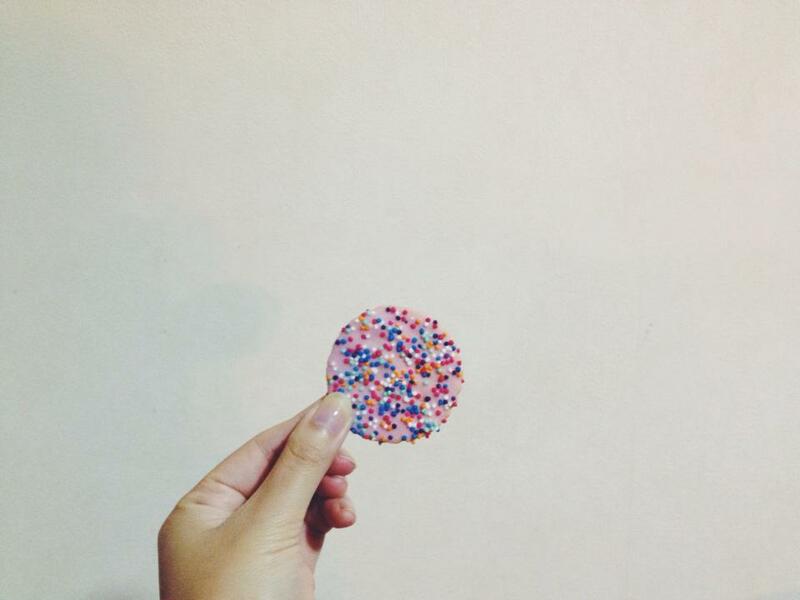 4. i rediscovered my love for hundreds and thousands cookies when i stumbled across fairy bread photos online. since then, i have eaten way too many. 5. it was half price mussels at de fontein today and we had 2 kilos of mussels and washed it down with brambles cider. totally worth it and so good too! these grilled mussels were amazing. 6. i cried just a little too much when i saw this .gif online. it's me. 7. this video pretty much went viral. it tugged a little on my heartstrings. okay a lot. i love you mum! 9. though i still had to work over easter, i still got two days off! the malls were closed so all you working in retail did too! hooray! 1 comment on "THE FIRST EVER CHEER ME UP MONDAY"